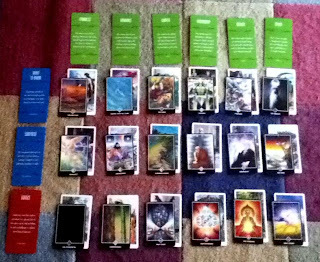 This is my New Year's reading using the Deck of 1000 Spreads and a technique I talk about in the companion book. Sorry the photo is so blurry. I chose all the cards intentionally, from the face-up deck. 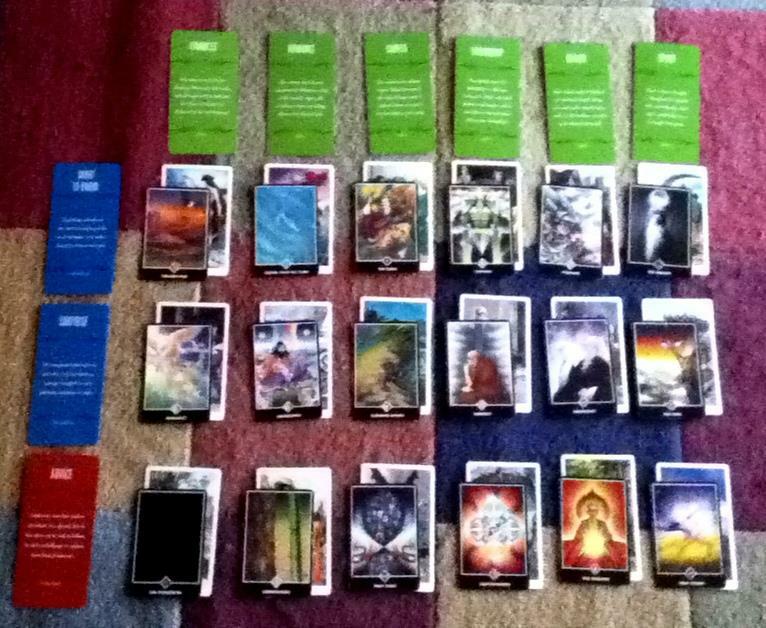 Under each heading in the chart, I've laid out the spread using two decks, the Victorian Romantic and the Osho Zen. I read each card separately in each position, then the two together, for three bits of information in every square.